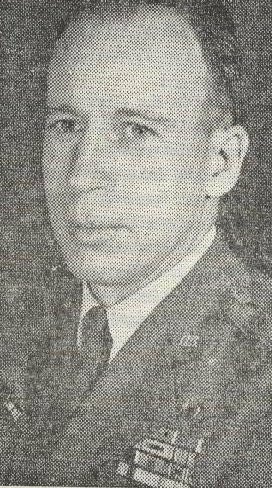 YUGOSLAV MILITARY ATTACHE QUESTIONS CAPTAIN OF THE U.S. AIR CORPS ABOUT HIS EXPERIENCES IN WORLD WAR II YUGOSLAVIA AND LT. COL. JAMES M. INKS RESPONDS. 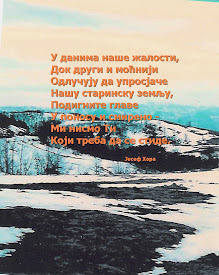 I have learned that you parachuted from your plane on the 28th of July, 1944, near Podgorica, Yugoslavia and that you were liberated by the Partisans April 26, 1945, and returned to your base. As the military attaché to the Yugoslav Embassy in Washington, your experiences and impressions regarding this matter, interest me very much and I would appreciate it very much if you would inform me in detail about your experience. I am especially interested in your impressions of our units and the various parts of the country through which you passed, their treatment towards you, what observations you can make concerning the enemy and how you happened to be liberated by the Partisans and returned to your authorities. 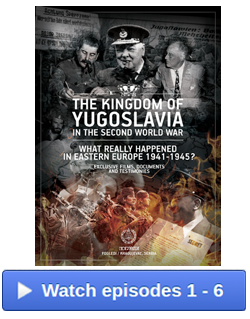 I would like to know how you were received by the various units in Yugoslavia and how they treated you. Anticipating a quick reply to my inquiries, accept my sincerest regards and my congratulations on your safe return to your hone and to your loved ones after all you have gone through in this horrible war. 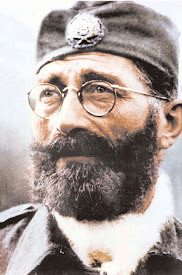 At dawn this morning, 17 July 1946, the Partisans took the life of the greatest man yet to show his face in the political situation of Yugoslavia. Yes, General Mihailovich was truly a great man. His honesty, integrity and straight-forwardness was in direct contract to the slinky and crafty Partisans that I was unfortunate enough to come in contact with. I am writing this at your request, and my views are my own and are not to be interpreted as to represent those of the army or my government, however, you can rest assured that I am going to do my utmost to expose this monstrosity of a crime that your government has just this morning committed. 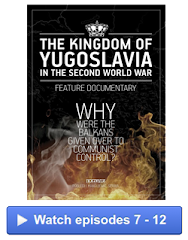 I spent months in Yugoslavia and came in contact with all of the factions there. I lived with General Mihailovich for three months and learned a great deal about the man and his ways of accomplishing things. 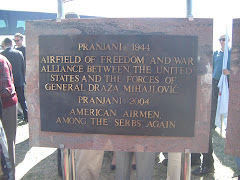 I jumped in the same fox-holes with his Chetniks, when American and English planes bombed and strafed them on Tito’s information that Germans were there. 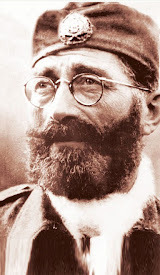 True, the Chetniks were not openly fighting the Germans in the last year of the war, but they were powerless to do so. However I witnessed and took part in numerous skirmishes with the Germans, which we were forced to give the Partisans credit for. 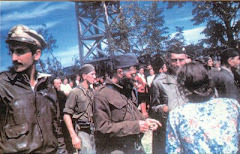 As for the treatment by the different groups, the Chetniks treated us like free men and allies. They gave us food that should have normally gone to their underfed troops. They gave us guns and ammunition and money and allowed us to do just about anything we were physically able to. After we were captured by the Partisans, we were treated as prisoners and certainly not like allies. They took our guns and ammunition from us, kept us with their prisoners, and even forced us to carry wounded Partisans off the field of battle under fire. I kept an accurate account of what happened to me and my comrades while we were in Yugoslavia. This has recently had its secret classification removed by the army and is now cleared for publication. I hope in the near future to have it before every citizen in the United States, in one of our popular magazines and you can rest assured that I will leave nothing out that reflects my contempt for your present form of Government. Furthermore, several hundred other American airmen are not going to forget General Mihailovich and I sincerely hope that we see to it that you are reminded forcefully of the supreme injustice that you have committed against him. Lieutenant Colonel James M. Inks of the United States Air Force flew 135 combat missions during twenty years of his distinguished military service. His Liberator bomber was forced to go down in Yugoslavia in July of 1944 as he was flying his 43rd mission, last mission during World War II. 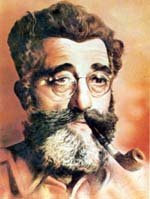 Inks and his fellow airmen would stay in Yugoslavia for 10 ½ months after being rescued by the Chetniks. 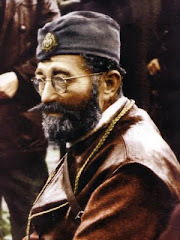 He witnessed firsthand what was going on in Yugoslavia as he traveled with the Chetniks. Three of those 10 ½ months were spent directly with General Mihailovich near Loznica. 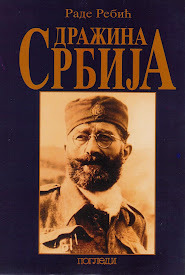 Lt. Col. Inks would learn much about both the General and his forces and kept a diary during his time in Yugoslavia. This diary would later be published in book form in 1954. Eight Bailed Out, published by W.W. Norton & Company, New York, is the story of an American airman’s experience in World War II Yugoslavia among the people who were fighting not just for their lives against the Axis occupier but for the integrity and future of their nation after the war. 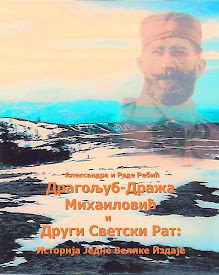 The preceding was published in “Tributes to General Mihailovich” a memorial commemoration of the Mihailovich legacy on the 25th anniversary year of his uprising against the Nazis and the 20th anniversary year of his death. Windsor, Ontario, 1966.